Assam Chief Minister Sarbananda Sonowal on Thursday expressed his heartfelt condolences on the demise of former Prime Minister Atal Bihari Vajpayee. “With his death the country has lost a visionary politician, a great humanitarian, who was deeply loved by people across party lines,” Sonowal said while adding that Vajpayee had a soft corner for Assam and the northeast. A three-time Prime Minister, Vajpayee was one of the country’s most respected politicians. “He took keen interest in the development of northeast and played an instrumental role in creating DoNER to expedite the overall development of northeast,” Sonowal said. “The foundation stone of Bogibeel Project was laid during his tenure as the Prime Minister. 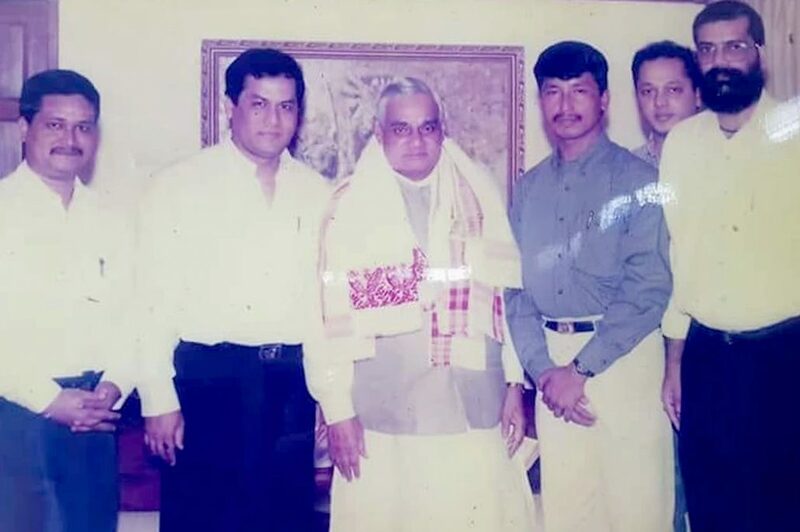 Among a series of projects that can be credited to his direct intervention, he dedicated Numaligarh Refinery and Naranarayan Bridge to the Nation,” Sonowal said adding that Vajpayee’s moral support to the cause of Assam Agitation will long be remembered by the people in Assam. Remembering his personal association with the former Prime Minister since the time he was a student, Sonowal said he was personally benefited from the advice and suggestions of Vajapyee. “I still bear in mind the time I spent with him as an MLA when he came to lay the foundation stone of Bogibeel bridge way back in 2002,” Sonowal said. “Vajpayee was a leader of prominence not only at national level, his political prudence is evident in country’s foreign policies as well. While he was the Prime Minister, he took country’s foreign relations with America and other countries altogether to a different height. He was a statesman who dreamt of a seamless rural connectivity, and therefore, enunciated Pradhan Mantri Gram Sadak Yojana and took the connectivity of villages to a never before level,” Sonowal said adding that Vajpayee was also instrumental in starting the “East-West Corridor” project. “He also had an incomparable track record in enabling country’s inclusion in the elite Nuclear Club and registering country’s victory in Kargil War. Besides being a prudent politician, he was a good orator, poet and litterateur,” Sonowal said while expressing his empathy with Vajpayee’s family members, admirers and followers in this testing time.